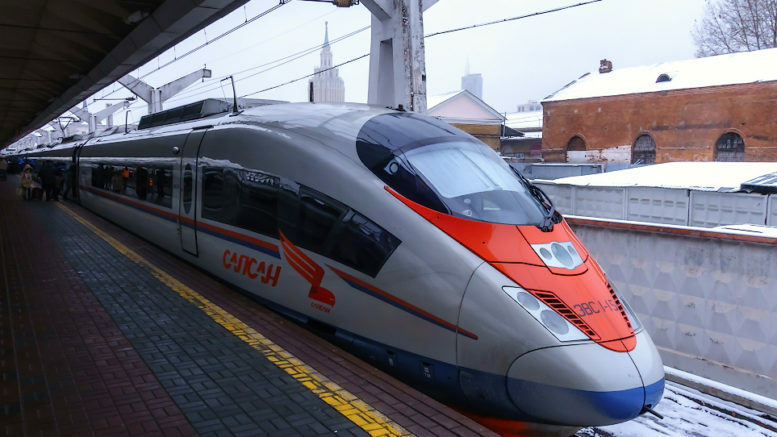 In May 2018, the Russian government gave the green light for the construction of a high-speed railroad (HSR) between Yekaterinburg and Chelyabinsk under the country’s master plan for infrastructure development until 2030. The line will be operational by 2024, with trains running at speeds over 300 km/h. The current journey time of 5 hours will be cut to 1 hour and 10 minutes, consolidating the two major Ural cities and their satellite towns to one economic agglomeration with 4 million people, the country’s third largest behind Moscow and St. Petersburg. It will increase the investment attractiveness of the Region and drive economic growth. And there is a bigger picture behind the project. The 220-km line is part of the planned high-speed railroad corridor from Beijing to Berlin, via Astana and Moscow, with a total length of 9,447 km. The construction of the new high-speed Silk Road is more of a ‘when’ than an ‘if’ question. The Russian road segment from Belarus (Krasnoye Station) to Kazakhstan (Zolotaya Sopka Station) via Moscow, Kazan, Yekaterinburg and Chelyabinsk is estimated at 3.6tn roubles ($60.9bn). According to Russian Railways, the project could be financed with the participation of the Russian Direct Investment Fund, the BRICS New Development Bank, the Eurasian Development Bank, the Silk Road Fund and the Russia-China Investment Fund. The connection to the European high-speed railroad network could be completed as soon as 2030. The Ural Region is already embracing the opportunities of this transport corridor, with seven to ten daily trains currently passing through the region from China to Europe. In April 2018, the government of the Chelyabinsk Region announced an investment of 6bn roubles ($100mn) into the construction of a logistics hub for agricultural products which is supposed to facilitate the export of wheat from the South Urals to China using the available empty railway cars heading back to Beijing from Europe. The project will be executed in conjunction with the Jinsha Group, one of the biggest noodle producers and wheat consumers in China. The Ural high-speed railway should also support Yekaterinburg’s application for the right to host the World Expo2025 as Chelyabinsk, with its airport and hotel infrastructure, could also host a part of the over 30 million expected visitors. The estimated project cost for the Ural HSR of 360bn roubles (over $6.5bn) will be shared by the participants of the public-private partnership the “Ural Expressway”, which will obtain the right to operate the railroad under a concession agreement after its completion. Beyond the public funds, Russian and Chinese companies are expected to participate as co-investors. The China Railway Group intends to invest $2.5bn. The project fits into the “One Belt, One Road” programme of the Chinese government aiming to invest billions in infrastructure projects including railways, ports and power grids linking Asia, Africa and Europe. The corresponding memorandum of understanding was signed in June 2017. The project will boost the local economy as soon as the implementation starts. It is expected that the major work and supply scope will be covered by large and medium-sized companies located in the Ural Region, such as the EVRAZ Nizhny Tagil Metallurgical Plant and Ural Locomotives (JV Siemens and JSC Sinara Group).